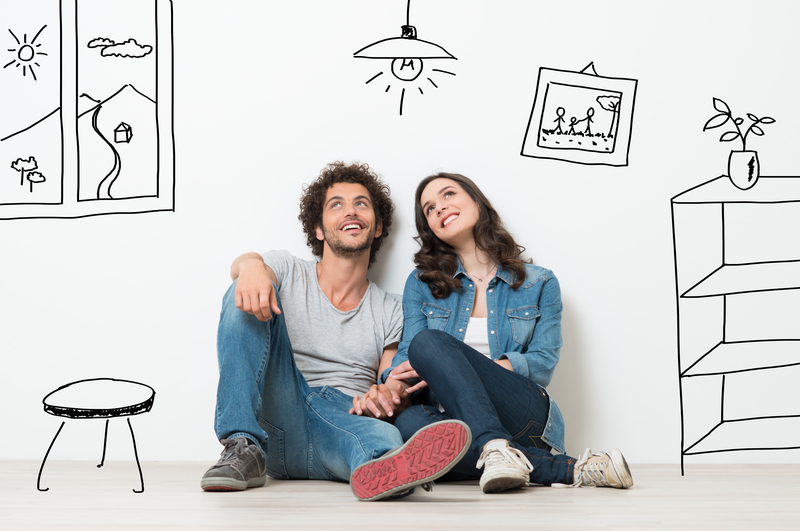 Whether it’s your first property or not, buying a house can seem like a complicated process. From credit reports to stamp duty, buildings insurance to finding a solicitor, there are a number of things that you need to think about. However, with a little patience and the right advice, owning your dream home is easier than you think. Follow our ultimate guide to buying a house and you’ll be exchanging contracts in no time. Ask yourself whether you are ready to become a homeowner. Buying a property is probably the biggest financial decision that you will ever have to make so you need to be 100% certain that it is the correct choice for you. There’s no harm in delaying the process and renting can be the best option for some people. You also need to decide what you can afford and stick to it. When it comes to mortgages, the higher the deposit you have the less you owe the bank. Ideally you would have started to save for your deposit a few years ago but if not, choosing to delay your option to buy a home for a few months could result in you being able to save a bigger deposit. Your credit rating is crucially important when it comes a mortgage offer and is often overlooked by many first-time buyers. A good credit rating can be achieved from making timely payments on all credit cards, being on the electoral register and not using your overdraft. Don’t panic though – as it’s relatively easy to improve your credit rating before buying a house. Choosing your estate agent can be a difficult decision. Ask around, research local agents and look into recent reviews. It’s important that you feel confident with your decision as whoever you choose has a pretty big job ahead of them. The majority of people will require a mortgage to finance their purchase – whether you’re a first-time buyer or not. You’ll need to meet with a mortgage lender or mortgage broker to discuss your financial situation as well as options. It is crucial to find out how much you can afford before you begin the viewing process. Once you’ve set your budget, you can begin looking at destinations. Set aside your weekends and evenings to view a selection of homes. It’s often a good idea to view homes in a few locations as this gives you an idea of what your money will get you in different areas. Two eyes are also better than one when it comes to viewings so take a friend and feel free to take pictures to look at afterwards. Property viewings can take weeks or even months so it’s important not to get disheartened. Remember that not every property will be what you are looking for but keep your head up because when you eventually do find the one, you’ll know. Once you have decided on a property, your estate agent will help you to decide on an appropriate offer. While most home sellers are willing to negotiate slightly, it is important not to put in an offer that is too low. Once the offer has been accepted, the legal work must begin. While it may sound confusing to begin with, your estate agent will be there to help you. You’ll then need to set a completion date to exchange the keys and move in. It’s also crucially important to organise home insurance to protect your home against potential damage. Once moved in, all that’s left to do is unpack and remember to keep up to date with your mortgage payments. Expert Tip: “Give yourself a period of six to eight months from the process of when you first start looking, till you have completed on the purchase. This can of course vary depending on if you are in a chain, however this is a general timescale for most of our clients in Manchester City Centre” says Gagan Khurana from Kaytons Estate Agents. If you have any questions about buying a property or are looking to buy in Manchester, then get in touch today.